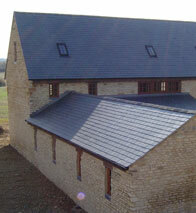 A R Roofing Services Ltd is a roofing company in Northampton. We cover all aspects of roofing including domestic roof repairs, commercial roofing and industrial properties. 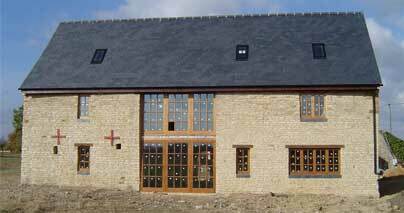 We provide roofing services around Northamptonshire including Befordshire and the Milton Keynes area. The company has been established in the roofing business for over 20 years and we have a skilled, reliable workforce. We are a family run company and pride ourselves on our excellent service. We have built up a good reputation in the area for excellent workmanship and a high level of customer service. Our customers are our priority and no job is too small. We offer a reliable quotation service and all our quotations are free. We are contactable either by telephone, mobile, email and via our website. All our workmanship is guaranteed and we have full public liability and employer insurance. We are members of the Northamptonshire Buy With Confidence Scheme approved by Trading Standards and can offer independent customer references. As a company we are part of the Buy with Confidence Scheme with Northamptonshire County Council. This is a Trading Standards Approved Traders Scheme. This means we have been vetted by a trading standards officer, CRB Police checked, credit checked and had individual references taken from existing customers. Our business is constantly monitored within this scheme and available from the scheme is customer feedback on our workmanship and customer service. To view our company within this scheme please visit www.northamptonshire.gov.uk/approvedtraders or telephone 0300 126 1000. We are approved fitters of the Firestone EPDM Rubber Roofing Membrane. We specialise in supply and fitting of all type of roof windows. We cover a large area of all roofing works. We are approved fitters of the Rubberised Plygene Gutterline System. Gutter leaking or Fascia boards looking a bit worn? Then we can sort this out for you. We are local specialists in the installation of Solar PV Panels.